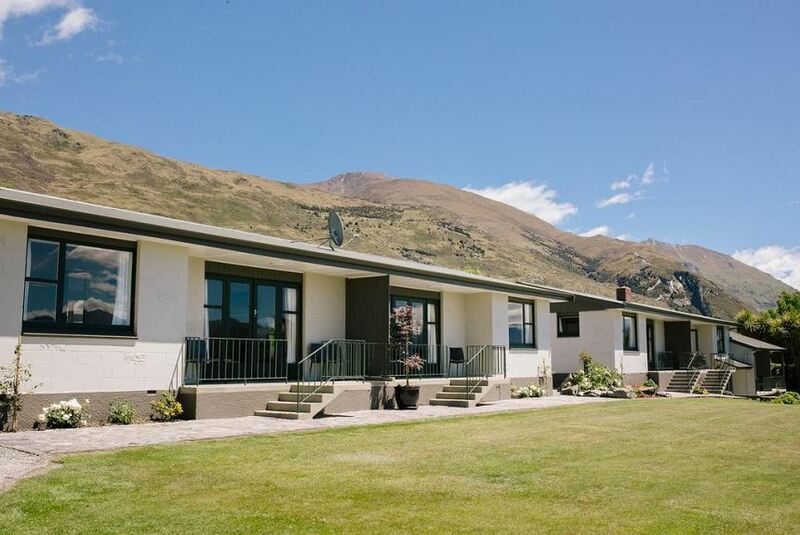 Featuring views of Lake Wanaka and the surrounding mountains, Wanaka Kiwi Holiday Park & Motels offers free Wi-Fi. Guests have access to a ski and snowboard drying room, BBQ facilities and a children's playground. The motel offers a courtesy coach to Wanaka town centre each evening. It is less than 5 minutes’ drive to the centre of Wanaka and a 15-minute walk to the shores of Lake Wanaka. There are daily snow and weather reports and secure storage for ski equipment, snowboards and mountain bikes is available. Each studio and apartment features heating, electric blankets and a TV with satellite channels and DVD player. All offer a refrigerator and tea/coffee making facilities. Some apartments offer full kitchen facilities, or in winter months an open fireplace.